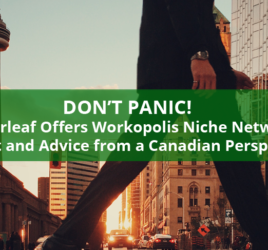 This week’s blog post comes from Jonathan Page, Careerleaf’s Director of Sales and Marketing. Every week I have conversations with entrepreneurs researching technology solutions for a new job board or career portal, and often provide advice on their value propositions, target markets and initial launch plans. Some of this advice is specific to a particular business idea, but much of the advice crosses industry or territorial differences. Where and how are you getting your job seekers? Why are they interested in you? There is a reason that aggregators and virtually every job board in existence pays or has paid for candidate traffic. Your candidate traffic is why employers will pay you. So if you don’t have an impressive* number of contact emails for your niche, you aren’t ready to set up your job board or invest in a technology solution. Priority number one is having something of value to say to your target candidates and start winning them to your tribe. *The term impressive is purposefully relative – the more differentiated and desirable the candidates the smaller the number needs to be to qualify as impressive. Also, understand that geography is implicit in any Niche and should not be ignored. How well funded are you? What is the minimum expectation of your audience? These two questions are very different, but they connect very closely at this point in your planning. For example: If you are cash-rich, you may invest hiring a team, in your marketing, and your technology solution at your time of launch. This will accelerate the time it takes to generate revenue, but will require cash investments to cover an initial period of expenses of 3-9 months. Alternately, if you are cash poor or risk-averse, a slower approach might suit you, where you only invest in time and tools to nurture your growing list of candidates and invest in launching your job board later. Your budget for initial investment and tolerance for risk may determine how soon you can launch your job board. When am I niche enough? Can I be too niche? I have never heard of a niche job board idea that was too niche. Focusing on a niche market helps you save money in your marketing, accelerates your reputation and noteworthiness. Expanding your audience later on is much easier if you have established yourself to your niche. Specialize in a niche market to accelerate engagement and establishing your board as part of its online community. What are your job content sources? Most job boards make use of a blend of job inventory sources, including directly purchased jobs, jobs posted via employer feeds, published backfills, and real-time API backfills. This is a one-size-doesn’t-fit-all situation. Decide what job post sources make sense for your board. What are your ROI expectations? How long will it take you to make money? Don’t expect to consistently profit from your job board until you can deliver qualified, quality candidates to your employers. How long it takes you to make money is a function of your skills at marketing. Compelling marketing can even result in sales made even before you launch. Your marketing plans factor into your estimates of how long it will take you to become profitable. Below is a detailed series of questions to help you further flesh out your new job board’s business plan. Don’t panic if you don’t have the answers to everything – these are meant to guide you as you plan. Are you focusing on a particular region, industry, or types of jobs? Job posts and employer profiles? Access to candidates in your database? What are must-haves needs for your target employers? Do they need tools to help them screen candidates? Do they just want to give you a feed from their careers page? Are there recruiting or job post writing services they need from you? What are your must-haves for job seekers? Is there a certain volume or breadth of jobs they need available to them? Do they want more information about employers, industry sectors, or careerpaths? Do they read/need tips and resources on job searching? How do you plan to differentiate your job board? 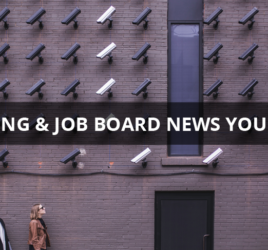 What will your job board’s standout value be for employers and candidates? What messaging and selling points will you use to market your job board? Do you have your branding? Do you have a name, a logo, a domain name, taglines, calls to action, landing pages, social media profiles, etc.? Do you have a plan for what you’d like to spend your first year? How much do you plan to devote to marketing, setting up your website, and ongoing/regular costs? How much money does the job board need to make for it to be sustainable for you? How much does it need to make to be profitable for you? When does it need to reach those revenue milestones? How do you plan to manage your job board? Do you have a team of staff to help you? Are you dividing up different management tasks for different people? Are you running it in your spare time or as a hobby? How much time do you plan to spend to get the job board up and running? How much time do you plan to spend on a regular basis managing and maintaining the job board? How will you market your job board and build traffic? How will you get new job seekers and employers to use your board? How will you keep and grow your user base? Will you create content and optimize it for search engines? Will you blog and use social media regularly? Will you use email and/or phone campaigns? Will you spend money on advertising? Will you send out press releases and build up quality backlinks? What technology will power your job board? Will you opt for a SaaS solution like Careerleaf? Do you want to create it all from scratch? Do you want something you have a high degree of control over, or will anything do? Do you already have an existing database or following? Do you already have a mailing list, online community, blog, or database? Does it consist of employers or job seekers? How do you plan to get them to start using your job board?